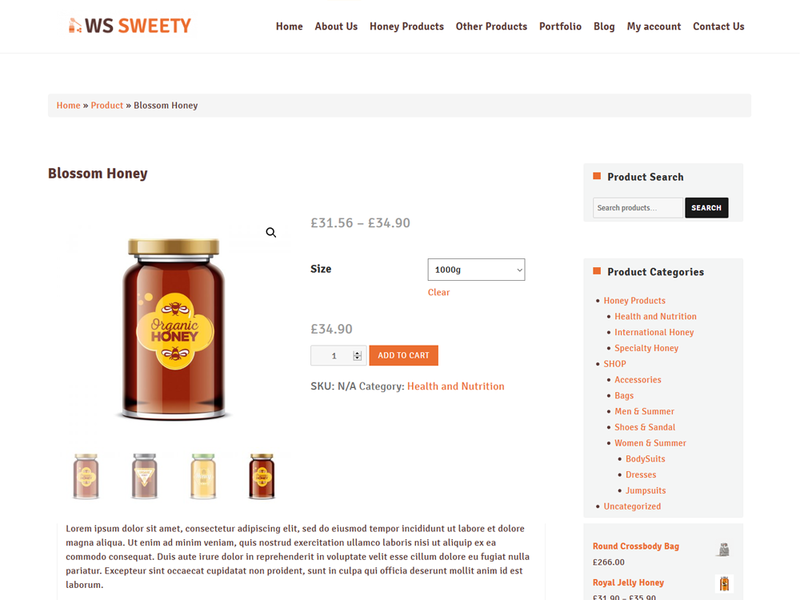 WS Sweety is a free responsive and eye-catching Honey WordPress theme which comes to you with an amazing and sweet appearance for opening online store which sells honey, candies, functional foods, and more. This theme has a fresh and delicious yellow that captures visitors attentions right at the first sight. 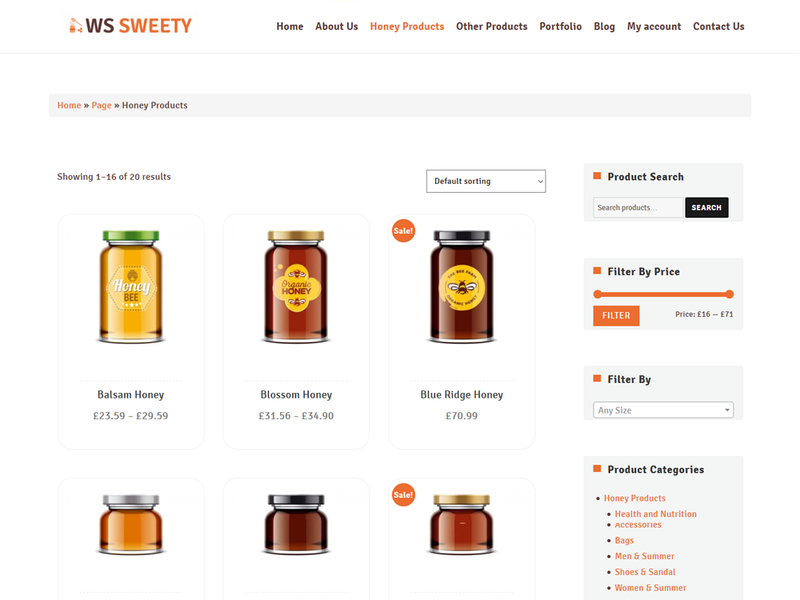 Moreover, WS Sweety provides you with a beautiful content organization with fast and smooth navigation effects to showcase your products in an effective way. 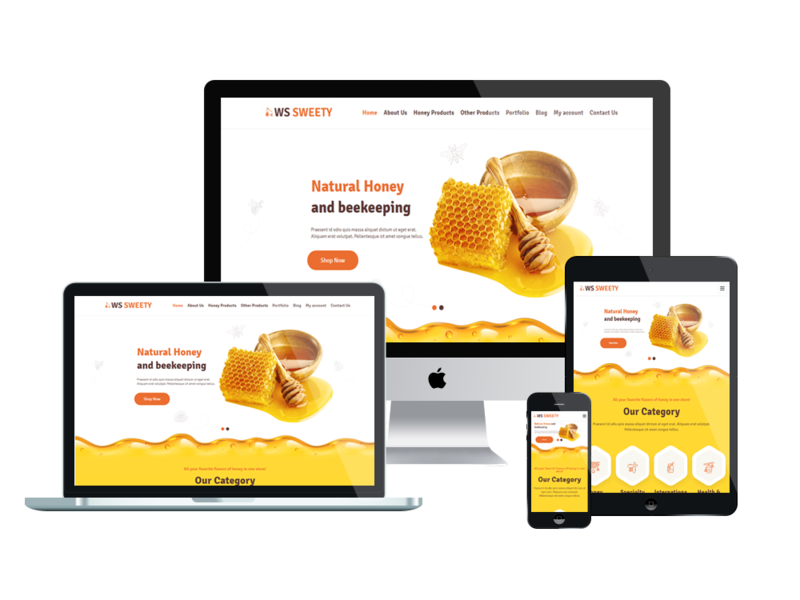 A Honey WordPress theme has been built with the latest web technologies for WordPress CMS, such as Elementor Page Builder, coming with high quality code, drag drop layout content, Smart Slider, Woocommerce for great ecommerce solution, with more and more features for you to customize the theme easily. 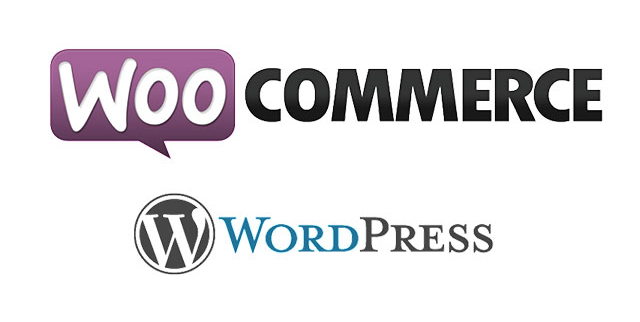 Besides, the responsive layout of WS Sweety will not let you disappoint with its stylish and modern layout. Interesting? Take a look at the live demo now! Completely decked out with a set of classy shop lists & singles, allowing you to gorgeously display your products & to set up the functional shopping cart in a flash. Physical or Digital products, Sell Anything, Anywhere. Whether it be t-shirts in all their shapes and sizes, music files or software. Even affiliated products from a marketplace. It's all possible.